We all have a story, have a read of ours! 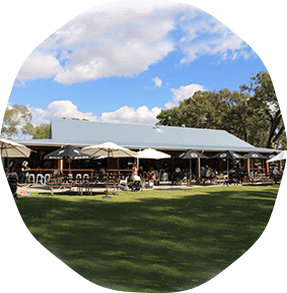 The Location – situated in WA’s oldest wine region. Catering for indoor and outdoor dining, as well as weddings, special events and tourism – our custom built coop is very popular in the Valley. Make your roost a picnic rug on the lawn, a bar stool on the verandah or a couch by the fire – and before long you’ll be feeling as relaxed as a free-range chicken. 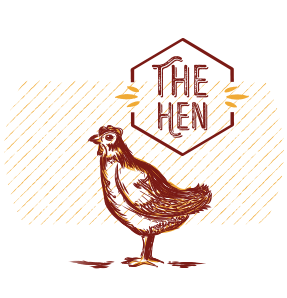 Just a 20-minute drive East of Perth’s CBD, and less than 10 minutes from the International Airport, The Hen lies in the upper reaches of the Swan River between Guildford and Bells Rapids. THE HISTORY – inspired by the Swan River Colony. The Swan Valley was founded in 1827 by Captain James Stirling, who later became the first Governor of the Swan River Colony. A plaque located at Henley Brook marks the furthest location that Captain Stirling reached on his first exploration of this area. 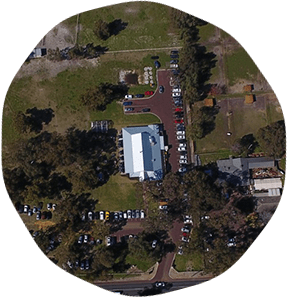 The Hen has worked closely with the City of Swan, The Swan River Trust and The National Heritage body to ensure our development continues to have a positive effect on the amenity of its surroundings. In everything we do, we hope to share with you the colonial history of the ‘Valley’ and support tourism in the Swan Valley. The Property – it’s founded on colonialsm. 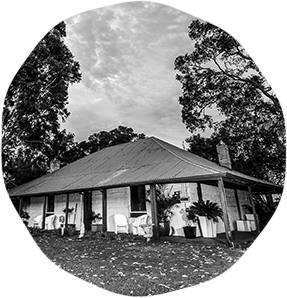 Our property is host to the heritage listed “Richard Edwards’ House”, built as part of the Swan River Colony in 1837. 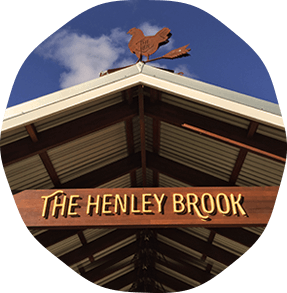 In keeping with this theme, the Henley Brooks construction design and decor was inspired by this building given the importance of the overarching history of the Western Australian pioneers in this area. The colonial design is complemented by sweeping rustic verandas that flow onto a grassed outdoor area shaded by old established trees. The Brand – make sure you cluck the right way. There’s no doubt our brand has a cheeky personality and wherever possible plays on the theme of a ‘chook’. Rough textures and hand drawn brush strokes play on the history and hardships faced by our early settlers. We hope it’s a brand you won’t forget and one that encourages you to cluck, eat, drink and have fun. Acknowledgement – we pay our respects. 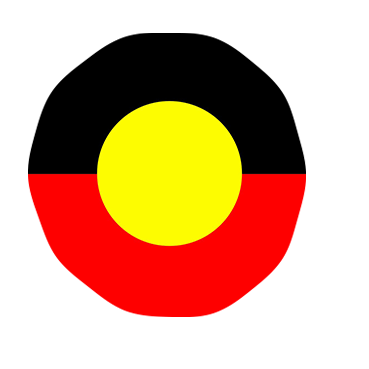 We acknowledge the Wadjuk people of the Noongar Nation as the traditional custodians of the land on which The Henley Brook is located. We pay our respects to Elders past and present and to the wider Noongar Community.